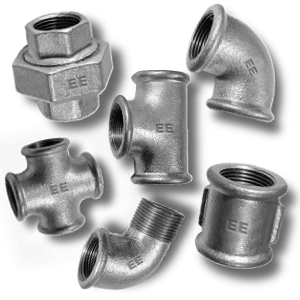 South West Steel Supplies offer a comprehensive range of BSP malleable fittings. Ranging from 1/4″ up to 6″. Also available in PVC, ABS, Copper & Brass. Our malleable fittings are for use in pressure critical applications . This ensures that a high pressure pipe system is safe and effective . South West Steel offers a wide array of malleable fittings. If you are looking for these products and wish to see dimensions and prices then do not hesitate to contact us today for a free quotation.